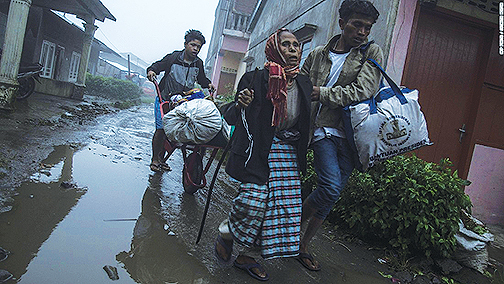 Thousands were forced to flee their homes as Mount Sinabung, in northern Sumatra, Indonesia, began erupting over recent days. The volcano, which had been dormant for 400 years before a 2010 eruption, began erupting again on June 2, 2015. 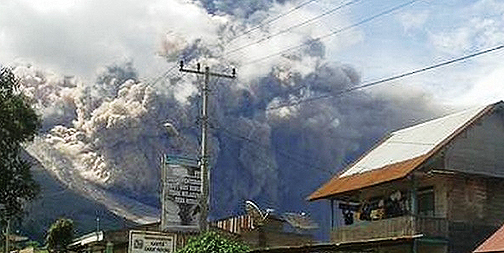 This video was uploaded on June 19 and filmed at the foot of Mount Sinabung. The pyroclastic flow hurtling down the mountain is a mixture of hot gas, rock and lava with temperatures soaring at around 1000 degrees. The volcano is one of 129 active volcanoes in the Southeast Asian nation that sits on the Pacific Ring of Fire, where the Philippines is also located. On Monday, Mount Bulusan in its Bicol Region likewise erupted as well as Asama in Japan on Tuesday. 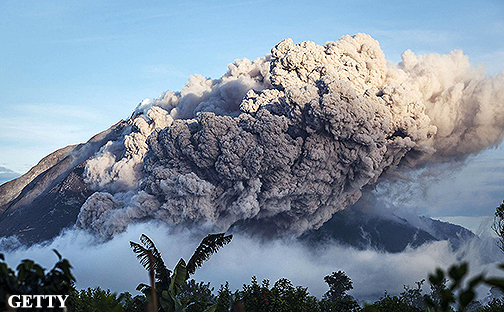 According to SFGate, the Tuesday eruption unleashed 48 avalanches streaming down the Indonesian volcano’s slopes. The largest avalanche reached 2.5 kilometres southeastward. 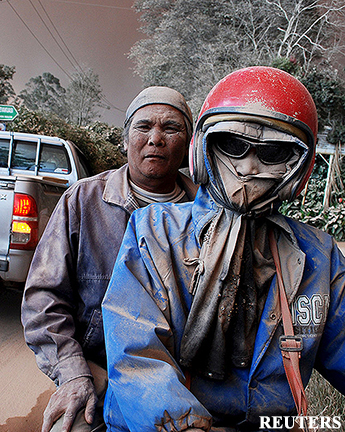 Sinabung shot smoke and ash at least 700 metres into the air, resulting in faces of people fleeing the danger zone to be caked in ash. However, the 10,000 who fled for their safety is only a third of the estimated 33,000 residents who live in the 7-kilometre radius main danger zone, said Subur Tambun, head of the local disaster mitigation agency. “The villagers insisted on tending crops. They are confident of being able to escape a major eruption. All we can do is ask them to leave,” SFGate quotes Tambun. The slopes of Mt Sinabung, known for its fertile land that is good for growing chilies, oranges, cocoa and coffee, is home to more than 150,000 Indonesians, many of whom are reluctant to leave their homes. Some of those who insisted on remaining, despite the danger to their lives, said they want to guard their homes and clean up the ashfall on their farms. In the Philippines, Bulusan had a minor steam-driven explosion on Monday that lasted 10 minutes and sent a 1-kilometre ash plume into the sky. In Japan, Asama also had a small explosion on Tuesday, although the eruption spread ash only on areas near the volcano. The first eruption of Asama since 2009 prompted the Japan Meteorological Agency to set a 2-kilometre exclusion zone, reports Wired.com.